They say that eating tapas is an art form. 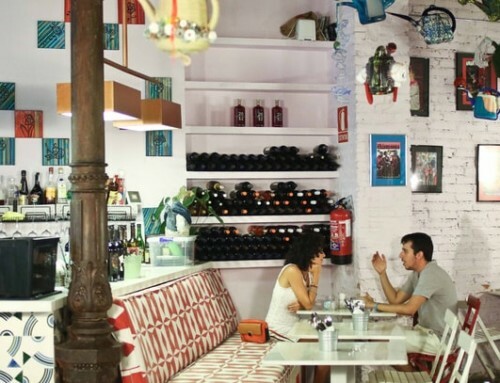 That’s why we’re going to practice it thanks to this great tapas route in Malaga. The city has the best ingredients to enjoy its cuisine to the fullest: good weather, fresh products from the sea and the mountains, an excellent vegetable garden and, also, subtropical fruits such as avocado or mango. Here you will find a list of some of the best tapas bars in the center of the capital of the Costa del Sol. Buen provecho! The current Atarazanas market was originally a Nazari shipyard built in the 14th century. 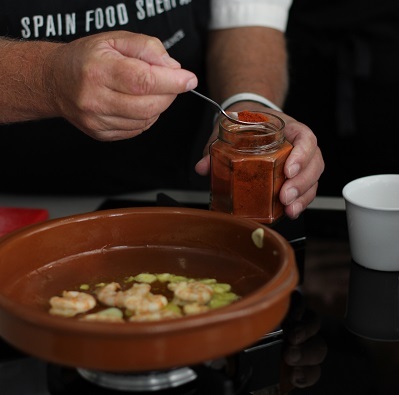 Subsequently, it was used as a warehouse, arsenal, military hospital and barracks, until today where its facilities host many stalls where you can learn about the quality of Malaga products, both Mediterranean fish and seafood and fruits, vegetables and meats from their different regions. 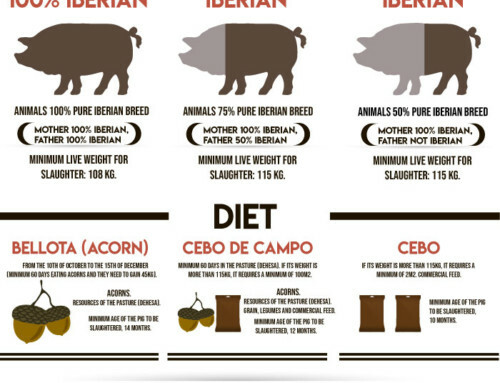 Many of them can be tasted in the Mercado bar, in the heart of the enclosure. The most popular ones are the skewers of prawns, octopus or tuna, as well as the fried pescaíto in olive oil like the boquerones. In addition to that, they prepare delicious fried fish and fried aubergines with Frigiliana cane honey (click here to see the recipe). 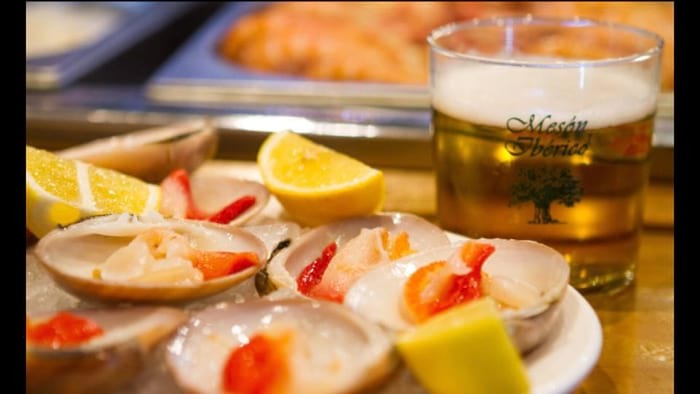 Everything can be accompanied by a fresh beer or a glass of Malaga white wine. On Saturdays, they also usually make paella. A great place to understand the idiosyncrasies of Malaga and Andalusia. The decoration of Cortijo de Pepe takes us back to the 70s. Not only because it was then when it opened its doors, but also because of the old photos and elements of the Andalusian tradition that decorate the space. It has an unbeatable location: the Plaza de la Merced, the same that saw Pablo Picasso be born and grow up. With its rustic and informal style, in this tavern good atmosphere is also linked to rich and traditional cuisine. Forget about innovative techniques and flourishes: here it’s simple, it focuses on the best essence of the product, which can be tasted in two different levels: both in the bar and in a small room. Salpicón de mariscos, gambas al pil pil, avocado salad, porra antequerana with tuna and ham or loin in lard are some of the best tapas in the house. Tasty specialties that have their origin in the countryside and the sea of ​​the province of Malaga, perfect for practicing the art of tapeo. Hundreds of (Hand-carved) virgins, images of saints and much religious iconography make up the decoration of Las Merchanas, where it smells of Holy Week throughout the year. 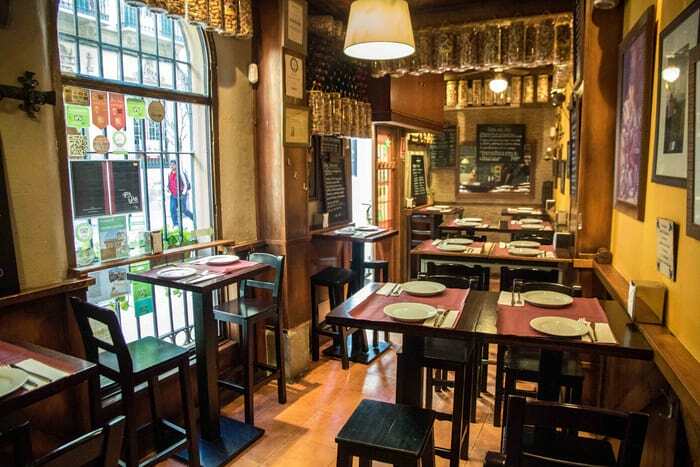 This tavern, a usual place of encounter of the cofrade malagueño world, is a picturesque space where you can try some of the most traditional tapas of Malaga’s cuisine. 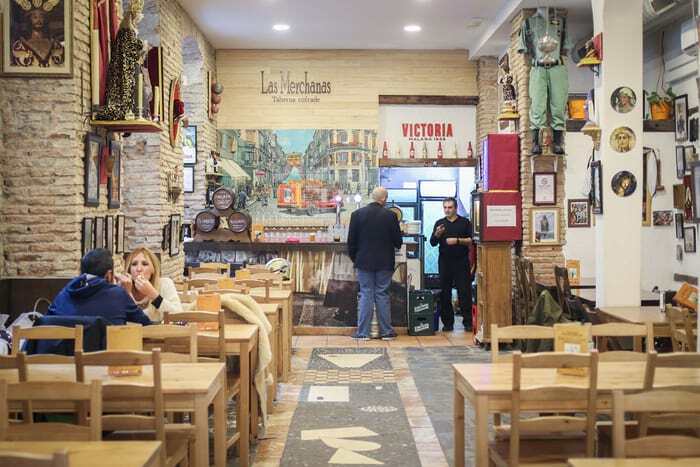 Russian salad, homemade croquettes and flamenquines are some of their best snacks, as are montaditos: small sandwiches that are filled with the pringá del puchero as well as chicken, tomato, lettuce and mayonnaise. And also, of course, delicious fried fish dishes. Furthermore, it is striking that each dish in the menu has a name that serves as a tribute to places and unique moments of Holy Week. One of those places where it’s worth going early before it gets full. This place is a must on any tapas tour in Malaga. Kitchen in the purest style of Malaga. 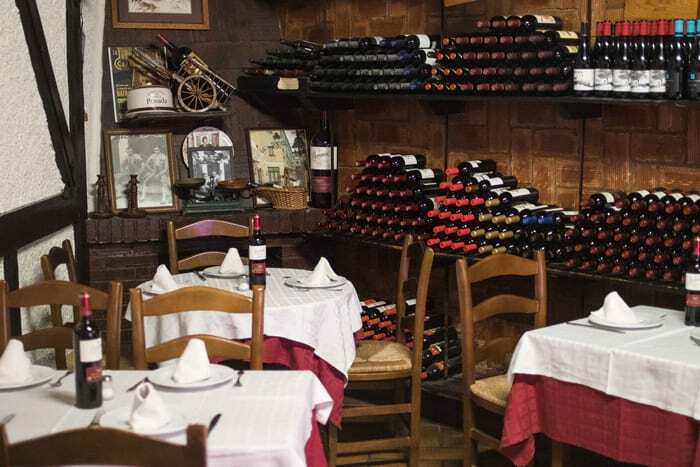 That is the definition of the gastronomic proposal of the Mesón Mariano, one of the most classic and traditional places in the city. 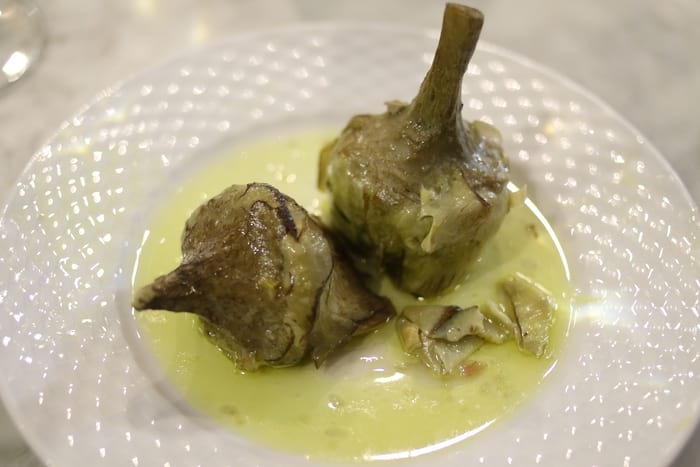 Its great specialty when it comes to tapas are the artichokes, which can be fried, candied, battered, a la montillana … and a host of other ways. 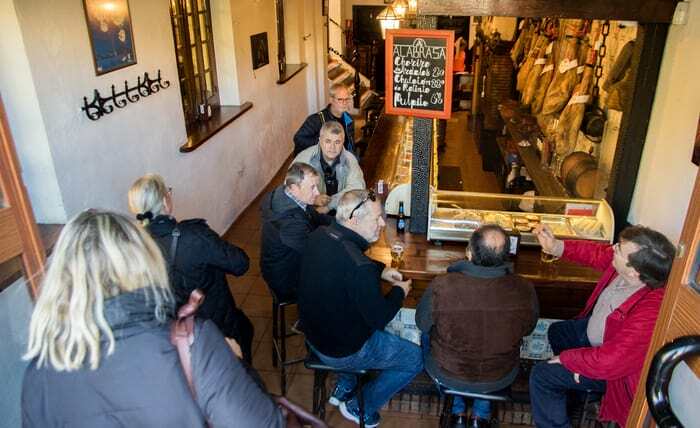 The place is also specialized in other products of the region such as the goat from Malaga and cod, in addition to the delicious Malaga style salad. They also have an extensive wine list, many of them made in different regions of Malaga such as the Serrania de Ronda or La Axarquía. Friendliness, tradition and good service are also part of the DNA of this restaurant located in the heart of the capital of the Costa del Sol. 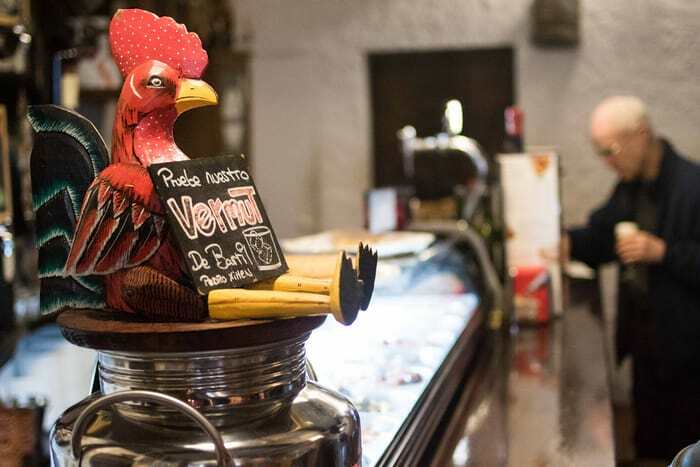 A step away from the main entrance of the Picasso Museum Malaga, the bodeguita El Gallo is an immersion into the best Andalusian tradition. 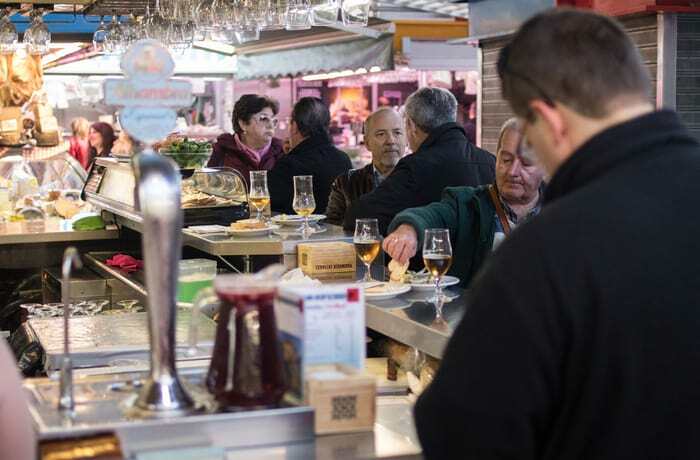 It is one of those places where you can still have a good vermouth at the time of the aperitif, although there are also tasty sweet wines with all the flavor of Malaga. 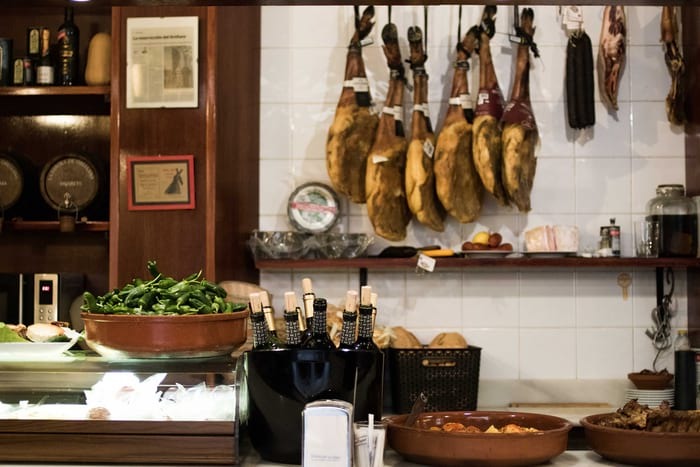 They can be accompanied by rich tapas ranging from loin in tomato sauce ham with tomato and braised pork cheek to callos (casserole of veal tripe and cheeks), a spoon dish very typical throughout the country that is worth trying. There are also proposals such as the omelet with chorizo ​​and the exquisite bull tail croquettes. If you can find a table, eating tapas on its pretty terrace in the busy San Agustín street is a luxury at any time of the year. 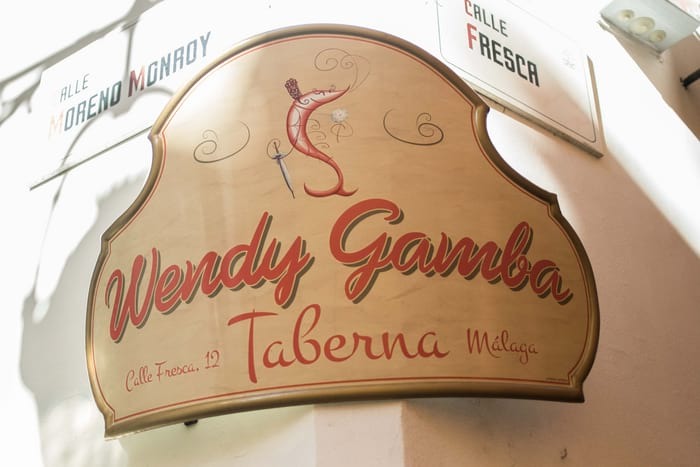 Opened in 1938, it is one of the oldest in the city and one of the favorites of Malaga for having tapas. In 2013 the place was remodeled and updated to offer a better service. Its most classic snacks are the bartolos, based on empanada rosada or ligeritas, which is what they call small sandwiches filled with different products in La Farola de Orellana. Also, fried anchovies, calamaritos, sardinitas, pipirrana … More than fifty tapas to pair with good beer and local wine. 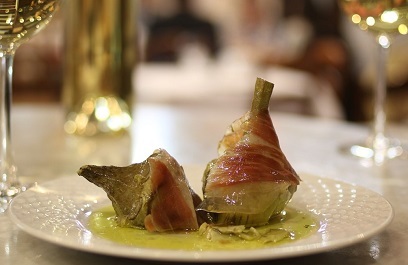 The charm of a small place, good gastronomy based on local products and kindness come together at El Tapeo del Cervantes. 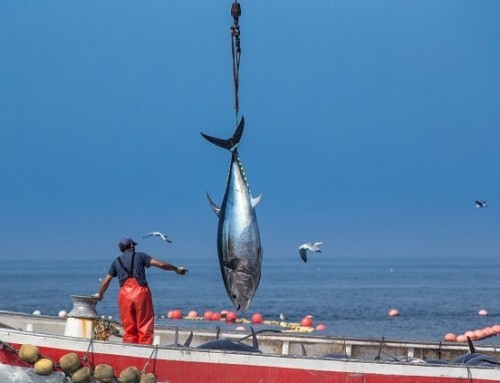 In this place, they know the importance of seasonal cuisine, that is why every morning they go to the market to buy meat, fish, seafood or seasonal produce: a guarantee of freshness. 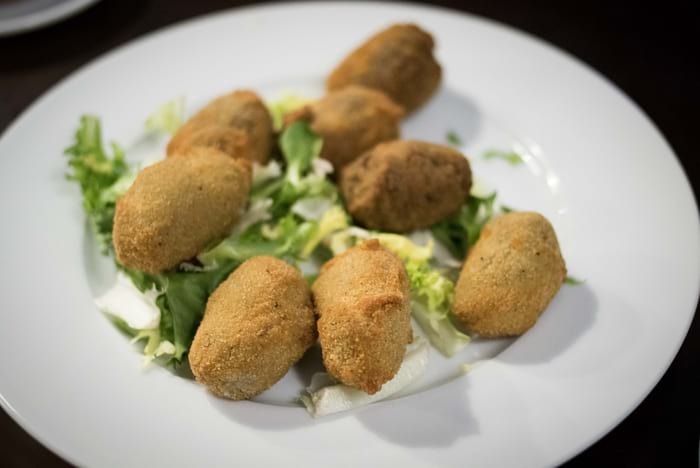 With them they make delicious tapas such as porra antequerana with quail eggs and tomatitos or breaded prawns, with cane honey and arugula, as well as many other options that are perfect for savoring Andalusian and Malaga cuisine. A secret: do not forget to ask for the suggestions of the day, where magnificent proposals are always hidden. Run by the Viñolo family, Mesón Antonio has been serving Malaga for 30 years. Its cuisine is linked to the roots of the city, with fried fish as one of the main elements and where the anchovies and red mullet stand out. 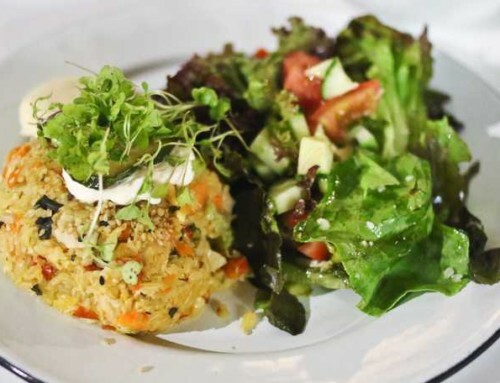 In addition, it is possible to try some of the most classic local dishes, such as cabbage, gazpachuelo or Malaga salad; without forgetting proposals such as the classic migas, a very typical plate in the whole province elaborated with fried bread, ham, chorizo, loin and fried pepper. An excellent option in the most commercial area of ​​the center of Malaga, a step away from the mythical Calle Larios. The chef Irene Garrido manages the kitchen of this open space, one of the last to reach Moreno Monroy Street, located in that labyrinthine urbanism that brings back the long history of Málaga and, also, very close to The Cathedral. Good atmosphere, fun and well-drawn beers are some of the ingredients of Wendy Gamba. As its name suggests, shrimp are the protagonists. You can taste them cooked, macerated, in stews, in tartare, in salad, in a gazpacho or even in one of the most curious tapas: the shrimp churros. And do not forget to try the prawn fritters al pil pil! It is also a very good place to rely on proposals with traditional flavor such as croquettes, aubergines fried with cane honey or patatas bravas. Also, it is one of the few places where you can enjoy a glass of the exquisite Botani wine. Try it! 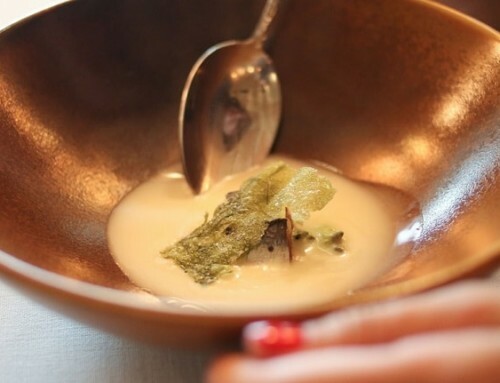 El Mesón Ibérico celebrates its twentieth anniversary in 2018, becoming one of the benchmarks of local cuisine. It is already one of the best places in the city of Malaga where you can practice this tasty ritual that is ‘going for tapas’. It does not matter whether you occupy one of the tables or simply enjoy the bar: everything invites you to taste different snacks, to let yourself go and try a multitude of local flavors thanks to a complete and exquisite menu, where there are also many national wines. Prawns al pil pil and some homemade croquettes are perfect for savoring Malaga’s gastronomy. From there, Iberian meats, grilled mushrooms, Iberian ham, shrimp omelettes, artichokes or cod fritters are great choices for the menu. And while you are in Malaga , don’t forget to join us on a Food tour that will introduce you to some of these delicious local specialties as you learn about Malaga’s culture and history.